I met some of the guys from Grooveshark earlier this year (whatup Vishal and John!) when I was down in Florida for the Front End Design Conference. We had had a good time. We hung out and talked shop at the conference, ate alligator tacos, and saw Black Moth Super Rainbow. Never heard of Grooveshark? Well you should, it’s amazing. You can listen to any song in the world for free from your computer. With a free account, you can make playlists, favorite songs, upload your own songs, and be friends with other Grooveshark users. It’s like iTunes, except your library is about 1,000 times bigger and it’s free. Annnnd, it has radio mode which learns your likes and dislikes so it’s got the Pandora angle covered. 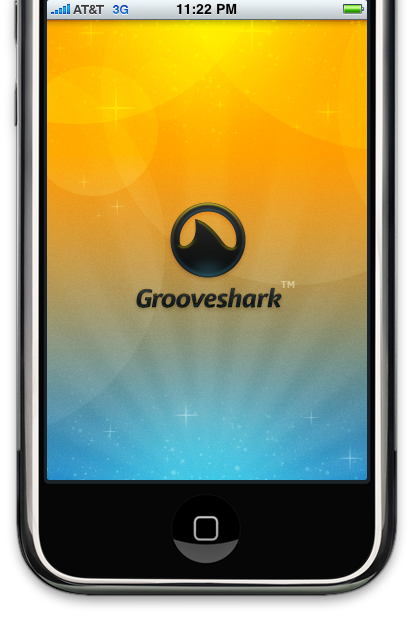 Now Grooveshark is going to have an iPhone app! It’s pretty full featured, meaning that all of your favorites and playlists from you account come with you to the app. As well as of course the ability to search all the songs in the world and listen to them. NOTE: The Grooveshark app is not yet approved by Apple. Hopefully, it will be soon. You know how on scroll-wheel iPods you can hold down the button when you find a song you want to listen to to add it to the On-The-Go playlist? This allowed you to be an in-car DJ without having a computer or plan ahead. Well I don’t have a scroll-wheel iPod anymore, I have an iPhone. There is no way on the iPhone to make an On-The-Go playlist. 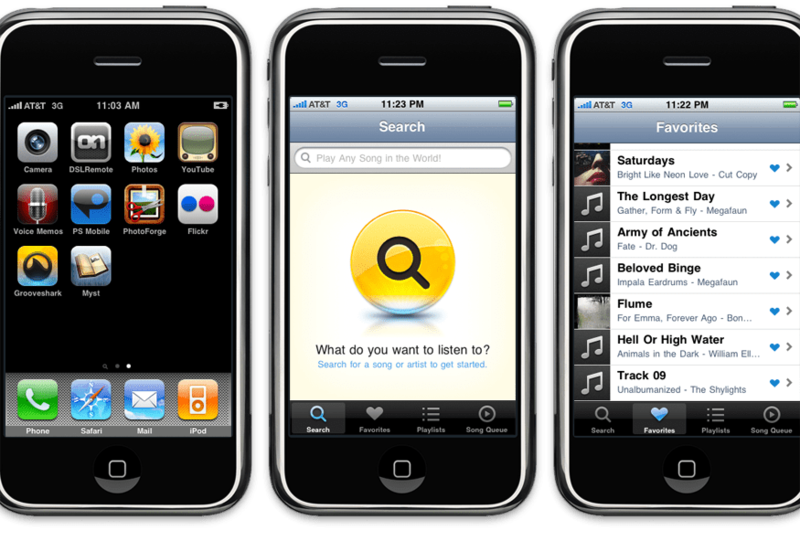 * With the Grooveshark iPhone app, you can be playing tunes, browsing around, and add songs on the fly to your song queue. Nice. * OK I guess there is a way to do On-The-Go on the iPhone, I just didn’t know about it.